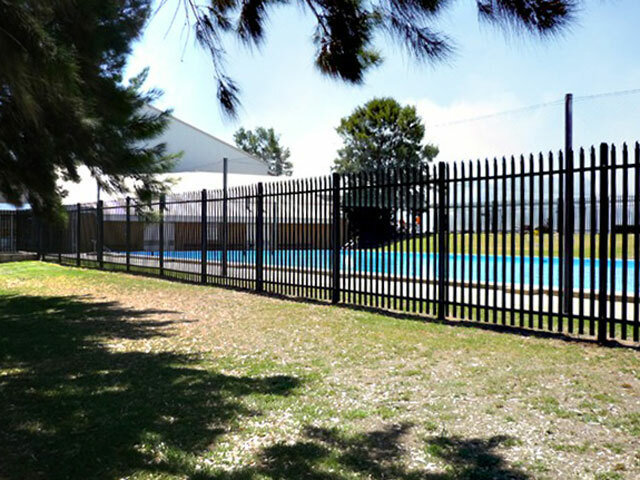 Palisade Fencing is designed to be a extremely strong and durable, CAI Palisade security fences are made from commercial grade steel can provide the highest level of protection and security fencing available. Palisade fencing looks good and it's almost impossible to cut through or climb over. Plus, there's a wide range of customisable options available. Fencing where a high level of security is important. 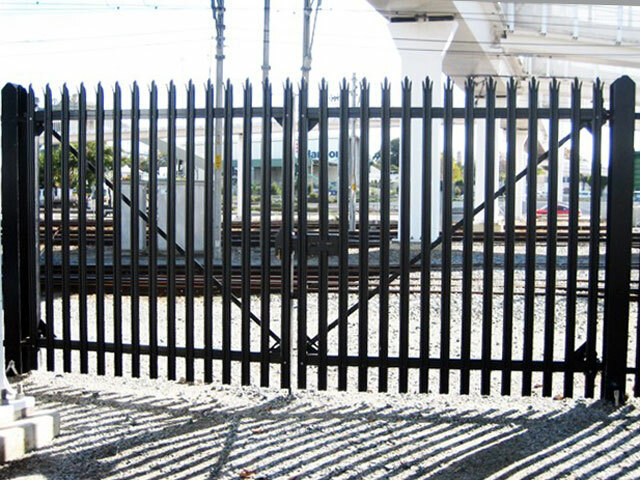 For additional security, palisade fence palings / posts can be vertically extended and barbed wire or razor wire fitted to the top of the fence. Palisade posts are available with welded fish-plates or slotted, complete with loose fish-plates that can be concreted-in, base plated for bolting down or cranked. 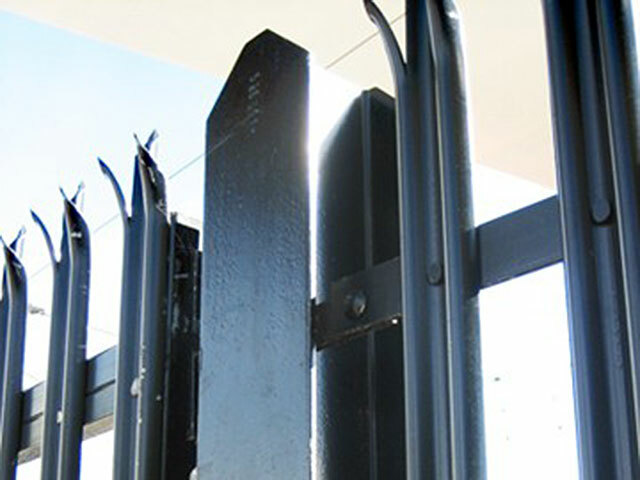 'D' Profile Posts - Typically used in general purpose security fencing (medium to high level security). 'W' Profile Posts - Stronger profile post = Maximum security level. Posts used in higher security level fencing applications. A range of palisade post tops / paling tops are available, including; single pointed, triple pointed, square tops, round and notched tops or rounded. 'W' Profile 2.0 mm - Commercial specification. 'W' Profile 2.5 mm - General purpose to BS: EN: 1722 Pt 12. 'W' Profile 3.0 mm - Security purpose to BS: EN: 1722 Pt 12. 'D' Profile 3.0 mm - General purpose to BS: EN: 1722 Pt 12. Available in three (3) standard sizes. 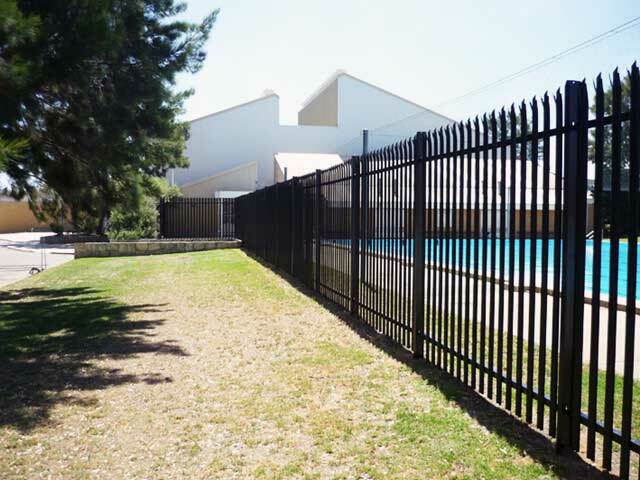 Selecting the correct horizontal is determined by the overall fence height and site requirements. To eliminate any gaps below the fence, installed panels follow the contour of the ground. Panels can be easily raked to allow for most site ground conditions and for added security, they can also be welded in our factory prior to installation. Palisade gates are available in a range of standard sizes or can be tailored-made to suit your sizing requirements. All gates are supplied with rear hung adjustable hinges, pad-lockable drop-bolts and are multi-holed to suit site conditions. Complete with anti-climb protection.